Join WLN Co-Editor, Lee Ann Glowzenski, & WLN Blog Editor, Brian Hotson, for an Editorial Round Table with the four major journals in the field of writing center studies: Writing Lab Newsletter, The Peer Review, Writing Centre Journal, and Praxis. 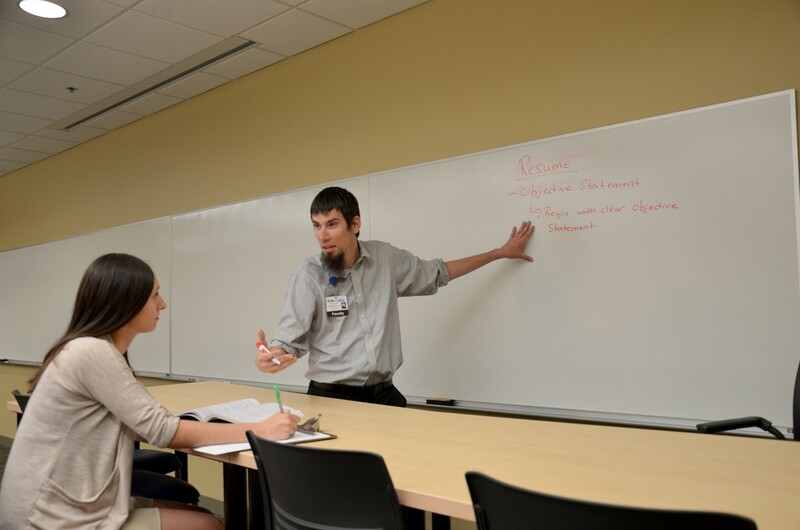 Dr. Adam Sprague is an Assistant Professor and Student Success Center Coordinator at Bellin College. WLN Blog: Tell me a bit about your background, and how you got started in writing center work? Adam: As a new graduate student in the English program at Washington State University, I was quickly met with imposter syndrome and felt a bit lost trying to think of what I wanted to do with my career. Despite focusing my thesis on multimodality, I worked closely with the Writing Center Director there and enjoyed my time tutoring in the center. I excelled at tutoring almost immediately and was soon asked to begin mentoring at-risk reinstatement students at the college. The initiative I put forth toward organizing and leading these sessions led to me being awarded The Harold and Jeanna Rounds Olson Fellowship for Writing Across the Curriculum Award, a competitive, university-wide award given to a single student for their contributions to the university each year. Still, I continued down the path of researching multimodality as a doctoral student at Bowling Green State University (BGSU). There I taught Composition, as well as English as a Second Language courses, but it was what happened outside of the classroom that reignited my passion for tutoring. To this day, the most rewarding experience I had as a tutor was visiting with an entire family who relocated from Japan to Bowling Green, Ohio. Though there were many language barriers and challenges along the way (as the family spoke nearly no English whatsoever), I particularly wanted to help the mother of the family who broke down into tears because she could not figure out how to communicate effectively enough in English to obtain a library card to be able to check out children’s books and DVDs for her young daughter and son. After months of work, I still tear up thinking about the image of her crying tears of joy, library card in hand, with two very happy children. 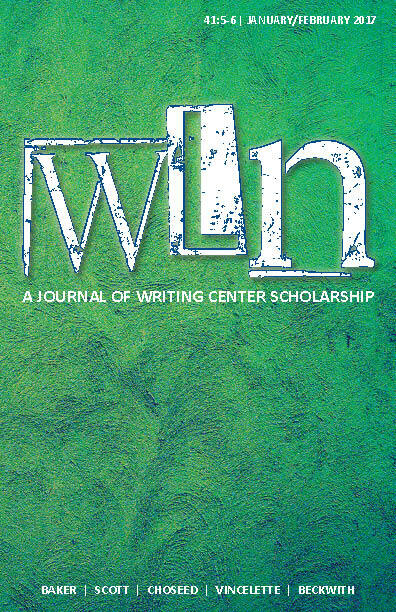 Interested in publishing in the WLN? Miss the seminar? The second the WLN webinar, Scholar’s Journey to Publication, hosted by Elizabeth Kleinfeld, Sohui Lee, and Julie Prebel, was attended by over 20 eager writers, both in the US and internationally. This event covered strategies for drafting an article for WLN, including how to find time to write, how to understand the lit review process, and how to find or start a writing group. If you couldn’t attend, a video recording is available, as are the slides from the presentation. If you have any questions, please use the reply form below. Thank you! 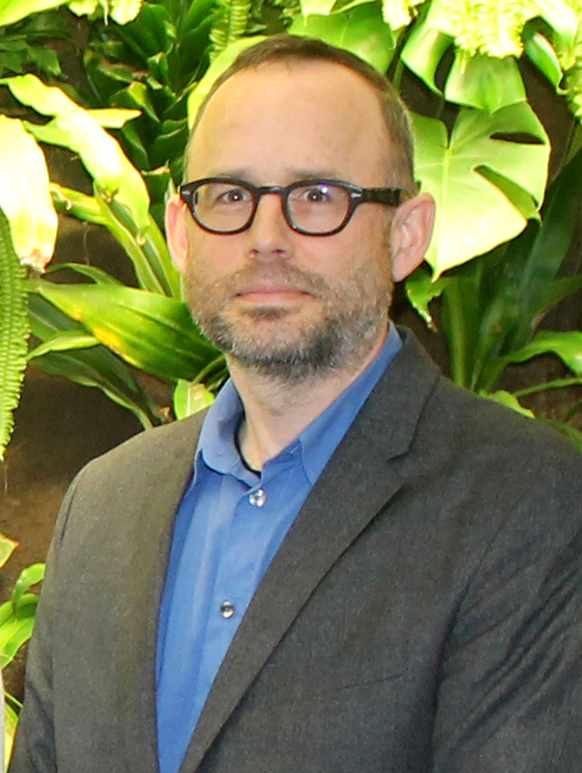 Brian Hotson is the editor of Connecting Writing Centers Across Borders. Welcome to a new semester and a new academic year. I’ve been reflecting on “rethinking academic writing,” a subject that often comes up in conversation this time of year, with a new semester, new students, and old assignments looking for new life. A conversation with some colleagues on this jogged my memory of a Scientific American piece, The Scientific Paper is Obsolete, which caused a stir in this spring. This lead to more research (aka, the google rabbit hole): Death of Scientific Journals after 350 Years (FEMS Microbiology Letters, 2018); Revisiting: Why Hasn’t Scientific Publishing Been Disrupted Already? (Scholarly Kitchen, 2016); and Blogs v. Term Papers (NYTimes, 2012). Innovation is seen as a key ingredient for success in academia, but we often taken good academic writing for granted as a crucial skill in this process. We know from the work of Peter Elbow that writing is a creative and imaginative process, irrespective of the subject. Janet Giltrow has argued that ‘style is meaningful’ and impacts the development of ideas. More recently, Helen Sword has drawn attention to ‘stylish academic writing’, arguing that ‘intellectual creativity thrives best in an atmosphere of experimentation rather than conformity’. Yet the precise relationship between academic writing and innovation remains to be explored; to do so means to highlight the crucial importance of writing centres, writing instructors, and pedagogical initiatives to academia at large. This seminar will examine the connection between academic writing and innovation from a variety of perspectives, including the use of the Project Based Learning (PBL) and other innovative methodologies, the switch from assessing to improving student writing, the role of writing centres in academia, the ideology of writing spaces, and new ways to support librarians on the path towards publication. This post is the second of two posts on transference and academic writing from the 10th Anniversary Symposium on Writing, held at the Regional Writing Centre, University Limerick, Ireland in June 2017. Many questioned how this year’s 10th Anniversary Symposium on Writing, Why good academic writers perform poorly in the workplace: Teaching for transfer across contexts of writing, differed from our 2012 symposium. The simple answer is that the second symposium was asking whether it was our job to prepare students for workplace writing, even though no strong arguments were made challenging the notion. It was largely assumed that we should prepare students for the writing that they would do in their professional fields. Our 10th Anniversary Symposium on Writing, on the other hand, was asking if it was even possible to prepare students situated in an academic context for the writing they would do in a completely different context, the workplace. My scepticism resulted from an interest in Rhetorical Genre Studies and, in particular, the implications of Activity Theory that commenced in earnest after attending Genre 2012 conference in Ottawa. If “genres are part of how individuals participate in complex relations with one another in order to get things done, and how newcomers learn to construct themselves and participate effectively within activity systems”, then “how [can we] teach genres in ways that honor their complexity and their status as more than just typified rhetorical features”? How could workplace activities that are mediated through language be replicated in academic contexts if the goal of the replication did not match the goal of the activity it was about to replicate? As Dias et al. so aptly put it, the contexts are worlds apart. The conditions that motivate the occasion, the features of the rhetorical situation, the nature of the process, the role of author, the rules and the conventions…are all likely to be starkly different. This symposium would contest the notion that writing well in an academic context necessarily prepares graduates for the writing they will do in workplace contexts, a topic skirted around in our last symposium. Too often, in the literature,, and in my conversations with employers in many of the transferable skills seminars that I attended in the years since the last symposium, employers have maintained that graduates do not assess the new writing situation, but remain reliant on the values, purposes, conventions and forms, etc., of academic writing. Graduates’ sense of authorship, audience and purpose, industry representatives have told me, are often completely off the mark of what the corporate context requires. With this in mind, I wanted our symposium to initiate a conversation between representatives from industry and academics about how graduates perform in workplace writing situations, the baggage that they bring along from academic writing contexts, and the process they go through in learning to write for this new workplace context. Because of my own strong belief that the role of ‘situation’ in writing pedagogy is undervalued and, therefore, ineffectively covered or considered in conversations on writing, I wanted both academics and business communication managers to explore the limits of replicating workplace writing situations in academic contexts and to discuss ways in which third-level educational institutions could better prepare third-level graduates for future workplace writing situations. The symposium was held on June 1st, as the Irish Network for the Enhancement of Writing (INEW) were bringing in Kathleen Blake Yancey, Kellogg Hunt Professor of English and Distinguished Research Professor at Florida State University (FSU), earlier in the week to talk about the role of reflection in peer review as a tool for learning and writing transfer, and the two co-Chairs, Íde O’Sullivan (UL) and Alison Farrell (NUI Maynooth) graciously asked Kathy if she would mind presenting at our symposium while she was in town. Kathy, generously, agreed to speak to our audience about things that they should consider when framing their conversations on writing and transfer and teaching writing transfer. I thought that some writing developers in Ireland might have some sense of how people in Rhetoric and Composition Studies talk about the writing, or rhetorical, situation and about metacognitive awareness about one’s own process and practices, but those concepts might be somewhat new to many here who teach writing either in the discipline or as ancillary support. Kathy described, for our audience, the components of the Teaching for Transfer (TFT) curriculum that she facilitates in FSU and how each of those components worked with each other in the teaching and learning dynamic. She also identified and defended what she believes to be the conditions necessary for transfer to occur. 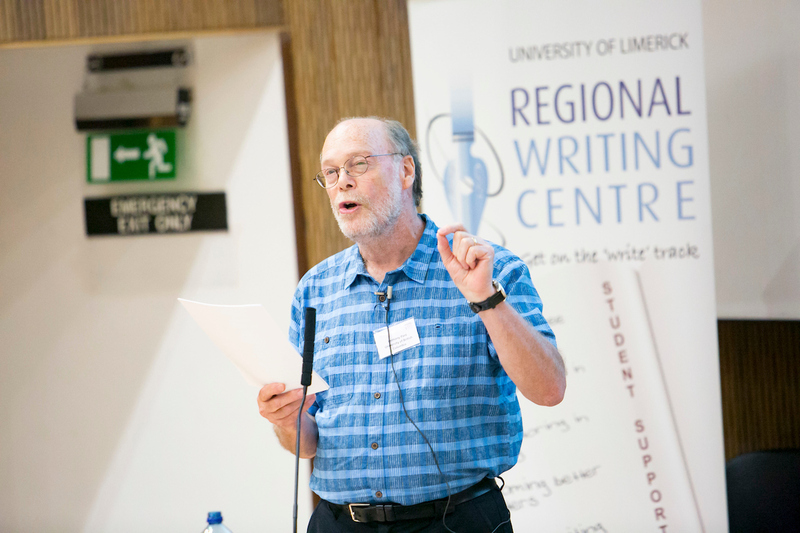 Anthony Paré, Professor and Head of Language and Literacy Education Department, University of British Columbia, speaking at the Regional Writing Centre’s 10th Anniversary Symposium on Writing, June 1st, 2017, University of Limerick, Ireland. situations they may face later in their academic careers or in the workplace or in life in general, opportunities for addressing a variety of audiences, chain or series assignments and an increase in the modes by which knowledge is communicated, arguments made. Anthony also brought to the table discussions about the role of industry, their responsibility for easing the transition for incoming graduate employees. Much more difficult was it to find representatives from industry, and even more so finding third-level writing and/or subject specialists willing to present on their own attempts to facilitate writing transfer across contexts. Originally, I had approximately six or seven people that wrote to me to say that they would like to present on a curriculum designed to assist students in their transition to workplace writing. I envisaged a one-hour breakout of seven or eight twenty-minute presentations on pedagogical practices, but only two people responded to the call for abstracts; one of those two, sadly, had to bow out for personal reasons. Susan Norton, DIT School of Languages, Law & Social Sciences was our lone practitioner. Sue took the stage to deliver a thirty-minute talk about how Reader Response Theory helps developing writers to become more aware of the conventions of the texts that they and their audiences read so that they are more astute about how their audience makes meaning. I had more success attracting representatives from industry, though the process was somewhat stressful. Maria-Jose Gonzalez, coordinator of Dublin Institute of Technology’s recently formed Academic Writing Centre, tipped me toward Tony Donohoe, Head of Education and Social Policy for the Irish Business and Employer Confederation (Ibec). She had heard Tony speak in the past and found him very supportive of initiatives like our symposium. It was Tony who found Barry McLoughlin, Senior Training Consultant for The Communication Clinic in Dublin. Though The Communication Clinic is usually thought of as one of Ireland’s most visible public relations firms, they also provide industries with consultants like Barry to either train staff to write texts that achieve corporate goals or else consultants write those texts themselves. Our third speaker from industry was much more difficult to come by. I was looking for a corporate-level communications manager, preferably one responsible for external communications. I wanted this person to describe the corporate culture, the kinds of texts that were produced, the process of production, and how the process differed from the writing they had done at university or at the IT. I researched the top ten indigenous companies, either highest employment numbers or highest revenue turnover. I had originally written to a woman who produced quarterly financial reports for CRH plc, The International Building Materials Group, rated Ireland’s top industry with the highest turnover, but I received no response. I then began searching LinkedIn for Communication Managers. I had written to one person who was a University Limerick graduate working for Twitter, but again received no response. Finally, after making a few other contacts that did not pan out, I came across Edel Clancy, Director of Communication & Corporate Affairs, Musgrave Group, Ireland’s sixth largest employer. 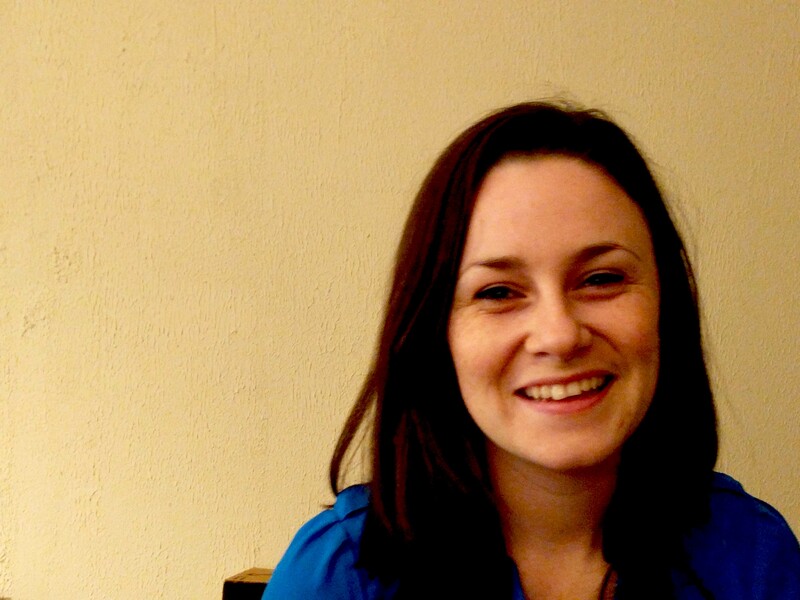 Edel is native to Limerick and a graduate of UL, and one of our tutors was a good friend of hers. It couldn’t get better. I had written to her, but again did not receive a response. I was beginning to think I would have to give up on the idea of a having a representative from a large industry who could take our audience through the production of a text, step by step through its complicated, and potentially long, process. Then, Edel wrote back. I gave her the date, and she agreed to speak. She called me a few weeks before the symposium from a train travelling from Cork to Dublin. She was worried about the fifty-minute slot. She thought she would not have enough to talk about. Despite being disconnected several times as the train passed through areas without a signal, we spoke for over an hour about writing and how writing functioned at Musgrave Group. It became clear, even to her, that she’d have no trouble talking about writing for fifty minutes. The symposium was brilliant. Our audience was not as large as I’d have hoped, but it is already a tricky time of year, only madeworse by the abundance of relevant events that had been scheduled for the preceding two days. By Thursday, June 1st, many people were already tuckered out and not up to the long drives to Limerick from far-flung quarters of Ireland. Nevertheless, people from as far away as the US, the UK and Germany were in attendance. Many people had written to ask if we could video-record the talks. We couldn’t afford a professional outfit to do the job, but we did manage to get hold of a video recorder and a stand. The recordings are available on our website. I hope those who contacted me find value in the recordings. The symposium finished with a panel conversation with the audience. Barry McLoughlin left us with a sense of the importance of writing knowledge to efficacy, asserting that people who feel confident about their writing skills feel more prepared to accept more demanding roles. Edel expressed the hope that the Regional Writing Centre step outside of the university to engage with a wider society, an idea with which the rest of the panel strongly concurred. Kathy and Anthony both advocated for more student engagement with industry through internship and apprenticeship programmes, Anthony speaking a bit more philosophically about the way the academic project views its place in society. Sarah Moore Fitzgerald, UL’s Associate Vice President Academic, was asked to join the panel. Sarah brought the conversation back to the Graduate Attributes spoken of earlier in this piece. Sarah views the attributes as the link between a student’s academic experience and the future that awaits them. If one follows Kathy’s talk, they might consider this link made by Sarah and the link to the future that Kathy tells us is so important as a condition for transfer. 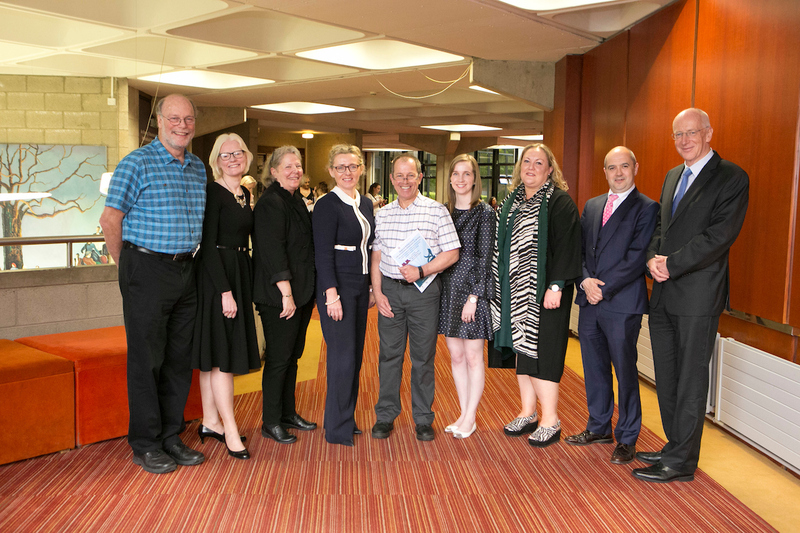 I hope the readers of this report on our symposium and its context will link into our website to view and listen to the conversations that took place on June 1st, at our 10th Anniversary Symposium on Writing. At the RWC, we are preparing now for a new semester, but we are also looking ahead to engaging an increasingly diverse society in the ongoing conversation on writing. Thank you for reading along. Russell, D. (1997) “Rethinking Genre in School and Society: An Activity Theory Analysis.” Written Communication 14(4), pp. 504-54. Barwarshi, A. S. and Reiff, M. J. (2010) Genre: An Introduction to History, Theory, Research, and Pedagogy, West Lafayette, IN: Parlor Press, p. 104. Dias, P. et al. (1999/2009) Worlds Apart: Acting and Writing in Academic and Workplace Contexts. New York and London: Routledge, p. 5. This post is the first of two posts on transference and academic writing from the 10th Anniversary Symposium on Writing, held at the Regional Writing Centre, University Limerick, Ireland in June 2017. Two thousand and seventeen marks the 10th anniversary of Ireland’s first academic writing centre, originally called the Shannon Consortium Regional Writing Centre, University Limerick. 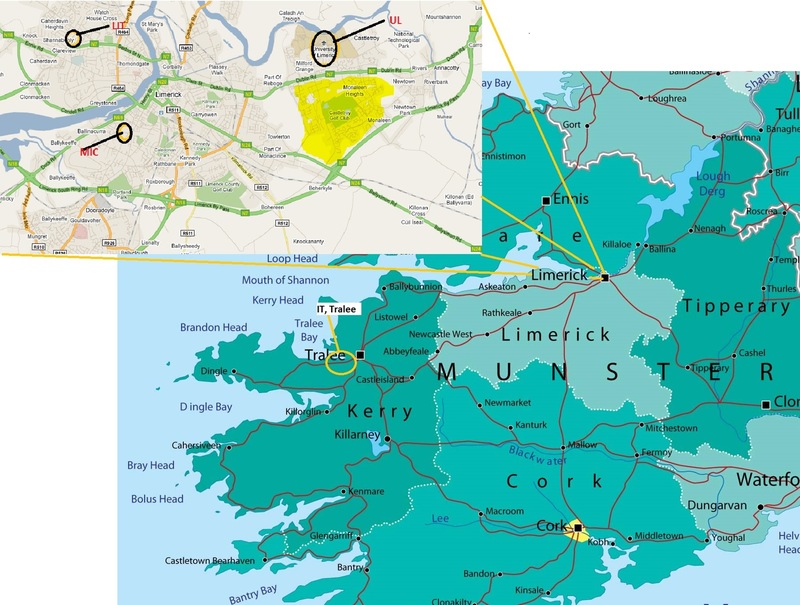 The Shannon Consortium is an alliance between four third-level institutes in the Shannon region: The University of Limerick (UL), Mary Immaculate College (MIC), Limerick Institute of Technology (LIT) and the Institute of Technology, Tralee (IT, Tralee)—the only institute outside of not only the city of Limerick, but also outside of County Limerick. The formation of that alliance facilitated the consortium’s acquisition of a variety of Strategic Innovation Funds (SIF) that had been offered by the Irish government from 2006-2008. One of those awards funded the Shannon Consortium Regional Writing Centre for the first two and a half years of its existence, long enough for my colleague, Íde O’Sullivan, and I to establish the centre’s value and appeal for institutional funding to preserve and maintain it. In 2009, the University of Limerick found the contribution of the centre significant enough to warrant allocating an annual budget to keep the resource open. That allocation is managed by the university’s Centre for Teaching and Learning, to whom we now report. However, though we are no longer funded by the Shannon Consortium, we maintained our regional aspirations in our new name, the Regional Writing Centre, UL, and this aspiration is in line with UL’s strategic plan, Broadening Horizons 2015-19. Previous to the establishment of this first third-level academic writing centre in Ireland, only one other academic writing centre existed on the island: St. Mary’s University College Writing Centre, in Belfast, established in 2002 by two Americans, Jonathan Worley and Matthew Martin. Jonathan and Matthew spoke at our first symposium on writing, Research on Writing Practices: Consequences for the Teaching of Writing and Learner Outcomes, organised by my colleague Íde O’Sullivan in December of 2007, with Ken Hyland as keynote speaker. In that first symposium, Íde and I presented on our rationale for our choice of response to the university’s writing needs, subsequently published as ‘Responding to the Writing Development Needs of Irish Higher Education Students: A Case Study’ (Cleary, Graham, Jeanneau and O’Sullivan, 2009). Though the bulk of the presentation and ensuing article focused on the results of Íde’s 2005 and 2006 surveys of staff and student attitudes toward writing and their preferences for writing provision, as well as on the informed, systematic approaches available to us for addressing the needs expressed in the surveys, even here we felt we had to first establish for our audience that writing mattered. Amanda M Marshall, CTESL, M.Ed., is the Writing Centre Project Coordinator for the Nova Scotia Community College. I have often joked that I have three fantasy careers: an astronaut, a neuroscientist, and a brew-master. While my career trajectory has not led me in those directions, I do have a keen interest in brain-based learning and in how to help students. When thinking about my role as Writing Centre Project Coordinator one evening, possibly over a pint, my inner neuroscientist and prior learning got me thinking, and I started to do some research into Executive Function (EF) skills. EF skills, which include “cognitive processes such as reasoning, planning, and judgement” (Bradley-Ruder, 2008), reside in the frontal lobe/prefrontal cortex of the brain. Interestingly, “the prefrontal cortex is one of the last regions of the brain to reach maturation…[and] is not complete until near the age of 25” (Arain et al., 2013, p. 435). Whilst delving more into EF skills, I began to see a significant connection between EF skills development and the development and deployment of writing skills. I would like to explore more of these connections in this blog, as well as make room for discussion on the topic. I hope you will all join in on the conversation. First, let’s explore Executive Function a bit more. As mentioned, EF includes the ability to develop and reach goals, process and evaluate information, understand cause and effect, and make reasonable inferences (Bradley-Ruder 2008). Residing in the frontal lobe, we also know that this part of the brain is responsible for logic, strategy, working memory, planning, problem-solving, and reasoning skills (Schwaighofer, Buhner, & Fischer, 2017). When a learner faces difficulty in these areas and with these skills, they will likely encounter challenges parsing, sequencing, remembering, evaluating, organizing, manipulating, planning, self-regulating, and with general task follow-through (Zumbrunn, Tadlock, & Roberts, 2011). This can affect both the learner’s interaction within their learning environment(s), as well as with specific program expectations and activities/tasks. Linnet Humble is the Writing Centre Coordinator at St. Thomas University in Fredericton, New Brunswick. In April, a Maclean’s article shared by a colleague on Facebook caught my eye. This colleague noticed our university ranked first in a particular category on Maclean’s second annual Student Survey. 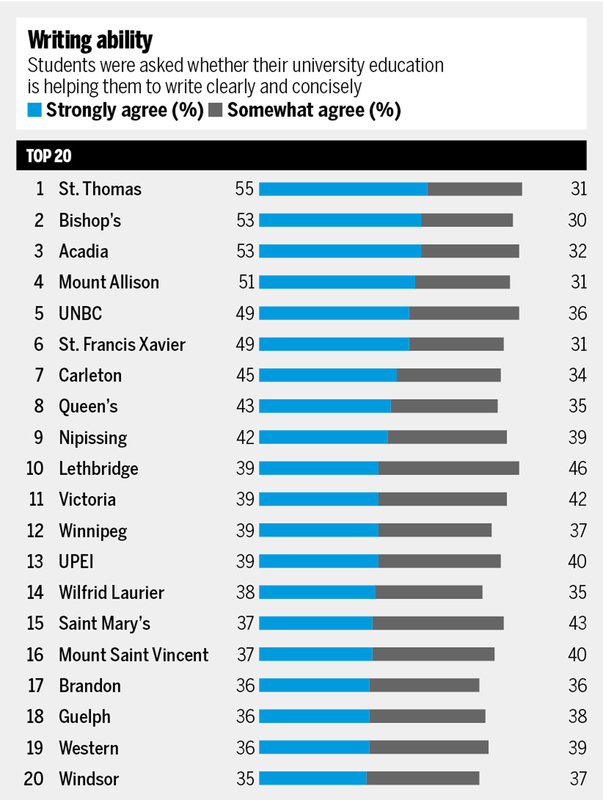 When asked if their university was helping them write clearly and concisely, 55% of St. Thomas University students strongly agreed and 31% somewhat agreed, placing our university at the top of the list for that performance indicator—ahead of other similar schools in the region, like Acadia and Mount Allison, as well as much larger schools from Ontario, such as Queen’s. When I saw our university ranked first in an infographic related to writing, I let out a whoop and immediately reposted the article. Just as I was wearily approaching my year-end reports, here was some external validation—from a prominent national publication, no less! It was a shot in the arm for me as the Writing Centre Coordinator. Friends and colleagues offered their congratulations; I walked around for half a day feeling quite chuffed. But I soon began to second-guess this good news. Did these results actually mean anything? Is Maclean’s a reliable source of information? Can surveys like this accurately measure our students’ writing abilities in their own right, or in comparison to those at other Canadian universities? And how much credit could the Writing Centre reasonably take for such scores? To learn more, I contacted Garry Hansen, Director of Institutional Research at St. Thomas University. Hansen is responsible for collecting, analyzing, and ensuring effective use of university data both internally (by informing strategic decision-making at the university), and externally, by providing data to agencies like Statistics Canada and Maclean’s. Hansen cautioned me against placing too much stock in these survey results. In addition to lending his critical perspective on this particular publication, he was able to suggest other tools and organizations that can provide a more accurate perspective on our students’ writing skills and how they fare in comparison to others’. First, though: a word on Maclean’s. Announcement | #wcchat 9/14/17 | Join our bi-weekly chats! The start of the academic year is one of the most important times for institutions, including writing centers. 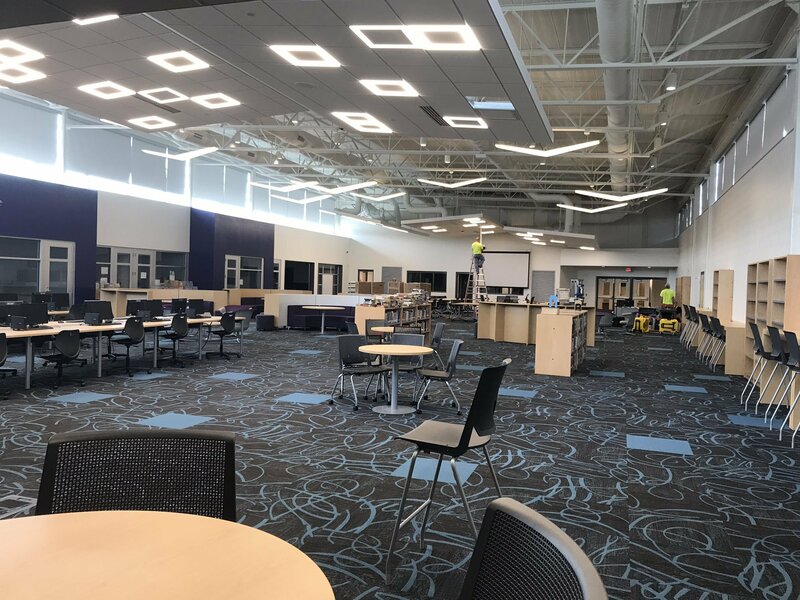 Training, routines, and center management become focal points; effective practices in these areas helps foster growth and efficient operations for the center. It’s an important, and sometimes stressful, time for centers, making it a vital topic for discussion for writing center professionals. For this week’s chat, we’ll focus on the role that training takes in starting our academic years, discussing specifically what we do, why we do those things, and what we struggle with in training. Through discussion, we will be able to share ideas for what works for our own centers, as well as offer ideas for others. Questions are tweeted out with “Q” and question number. Respond with “A” and corresponding question number at the front of your tweet. Follow those you connected with and/or learned from to grow your PLN. Focus on quality responses and questions that generate discussions that focus on our writing center practices. Q1: Describe the training consultants go through at the beginning of the year. Q2: If you use journal articles for training, what articles do you find most useful? If you don’t, why don’t you use journal articles for training? Q3: What are your biggest concerns during the initial training process? Why? Q4: Describe your strategies for teaching consultation basics. Q5: What initial struggles are most typical for consultants in your center? Why? Q6: What is your favorite training activity? Why is it necessary? Brian Hotson is editor-in-chief of the WLNBlog and Director of Academic Learning Services at Saint Mary’s University in Halifax, NS. Each August, our centre holds a two-day Summer Writing Workshop. Its main purpose is to provide incoming, first-year students an opportunity to experience writing at a university level prior to September. It’s also a chance for students to make friends and meet professors. There is a lecture from which students use as a means to write a short paper, the instruction of the two days focussed on this paper. Usually 70-75 students—of an incoming class of 900-1200 students—register. The program is voluntary with a fee of $200, which includes materials and meals. As an icebreaker on day one, I give each student two file cards. On one card, I asked them to write their name and something they’d like others to know about themselves. 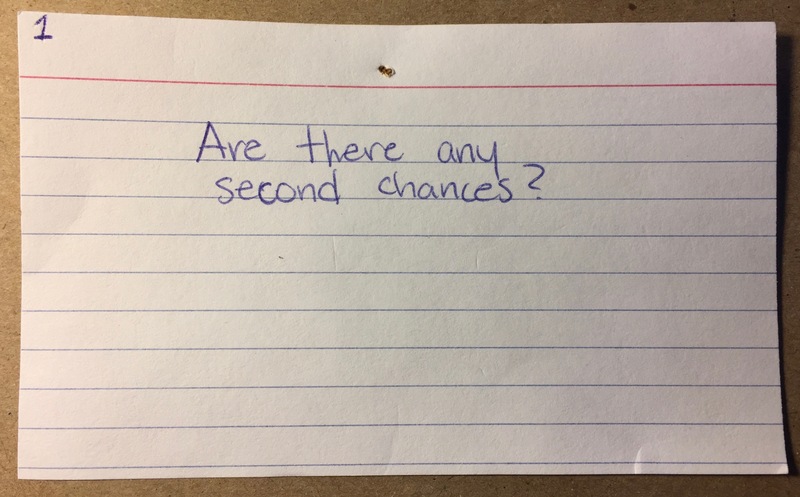 On a second card, I ask them to write a question they like to ask a professor (we have a Q&A with professors at the end of day two), and what they are most afraid of in coming to university. Many of our students are first generation students. Their expectations of themselves are very high, without any experience of how such expectations might be met. I have kept these cards over the years. Each is a personal account of a young person on the threshold. The anonymity of the cards provides a startlingly frank openness into these students’ emotion. For me, it’s not the fear that is insightful, but the bravery of their openness and their willingness to use this openness to try something new. University is a chance to learn from mistakes. Drafting is an ongoing second chance, a means to understanding the process of thinking, as well as thinking about thinking. I read these cards before my opening talk of the workshop. I try to insert into the talk words from the cards, and let the other staff presenting during the workshop know of the contents of the cards. This one I keep pinned to my bulletin board. Editor’s note: What do writing centers look like in other parts of the world? In this blog post we get a glimpse into how things are done in Germany at the University of Cologne’s Centre for Writing Competency. Today’s post comes from Esther Breuer, the Director of the Kompetenzzentrum Schreiben at the Universität zu Köln in Germany. She founded the center in 2007. The Centre for Writing Competency of the University of Cologne was founded in 2007 and is going to celebrate its tenth anniversary this October. Our university is one of the largest state universities in Germany with nearly 50,000 students in six faculties or schools. In the beginning, it was funded by the students’ fees of those at the Faculty of Arts and Humanities. After students’ fees were abolished, the Centre remained under this faculty and is supported by a fund set up by our federal state for balancing the budget. We now form a team of eight: one director, one specialist on teaching academic writing, the head of our classes on tutoring, an L1 English tutor, and four students for the coaching. As a result, most of its offers are exclusively for students of the Humanities, or for those students who major or minor in at least one subject at our faculty. The main objective of the Centre is to coach and support students in the process of writing term papers, Bachelor, Master theses, as well as PhD dissertations. We work with the concept of peer-tutoring. At the beginning, our clients often had difficulties with this concept as they expected to come into an office where a lecturer was going to correct their papers. They expected this lecturer to be an ‘older’ person (from the students’ perspective) who knew how everything was to be done. They did not assume that they had to cooperate (or do the main work) in enhancing their papers, finding the weaknesses as well as workable solutions for coping with these. This passive attitude towards feedback might be the effect of a widely-accepted attitude in Germany that writing is a gift and that one cannot learn how to write well. In former times – and sometimes this is still the case today – professors made students believe that they were not apt for studying if they did not know how to write academic papers. This belief is still implanted in some of the students’ heads, and for them it is hard to understand that writing is a learnable competency that simply needs knowledge of concepts and methods, as well as training. 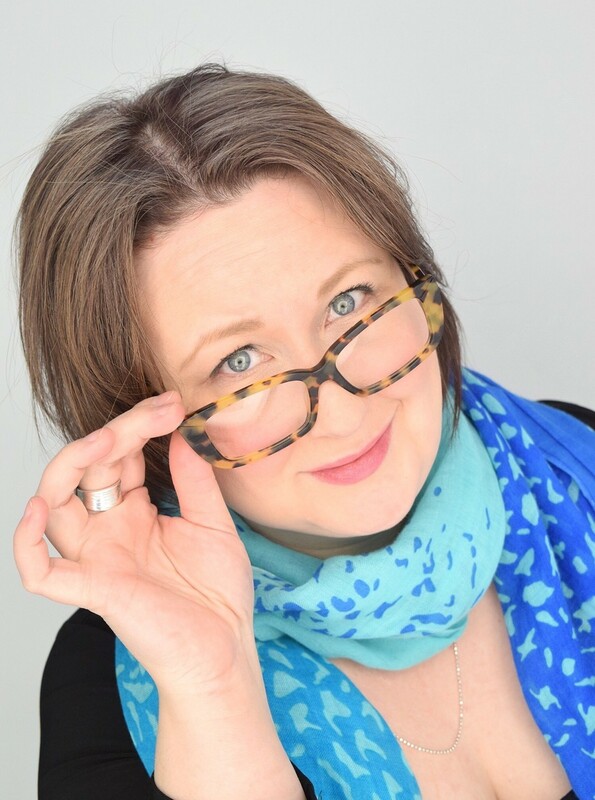 Melanie Doyle is a writing tutor at the Writing House in the College of Nursing and Heath Sciences at the University of Massachusetts Boston. She also teaches composition in UMass Boston’s English department while completing her MA. Association’s (CWCA) annual conferences look to extend the borders of writing research. And with the continuing interest—and current utter importance—of understanding students’ use of language, Canadian institutions are available sites for inquiry. While Canada as a nation is officially bilingual, each Canadian province chooses its official language: Quebec, for example, is unilingual French, while Ontario, Canada’s largest province, is unilingual English. Still, many of Canada’s higher ed institutions offer francophone writing tutoring or bilingual writing tutoring. Ontario’s University of Ottawa, situated in Canada’s national capital and on the border with Quebec, is currently the largest bilingual university (French-English) in the world, and is thus is an interesting case study to examine bilingual writing tutoring. What kind of news would you like to see in the WLN News Round-Up in 2016? Let us know in the comments! Faculty members’ ideas vary on this, and our Writer’s Web page about pronoun usage provides the canny advice to ask a professor. The author of this post is far from “politically correct” in many areas, but it has always made good rhetorical sense to avoid gendering language when an audience includes men and women. “Have the writer identify his main point by asking…” when it is easily broadened to “Have writers identify main points by asking.” This revision has the virtue of brevity. Using “his or her” seems awkward. I invite readers to come up with a sentence that cannot be revised by making it plural, save when an obvious gender-specific reference must be made. 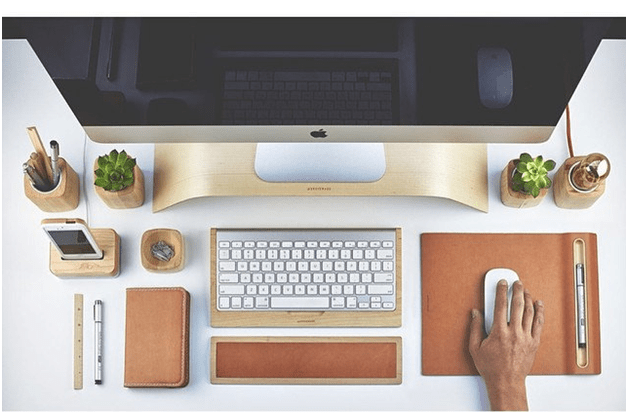 This post began as a reply to Jared Odd, the Writing Center Director at Lindsey Wilson College. Professor Odd wrote to the national e-list for Writing Across the Curriculum, asking for advice about managing a Fellows-based program at small colleges. At times, such as our current semester, I feel like one of the performers who keeps about 30 fragile plates spinning on the ends of skinny poles. Richmond’s program for what we now call “Writing Consultants” now enters its 21st year. 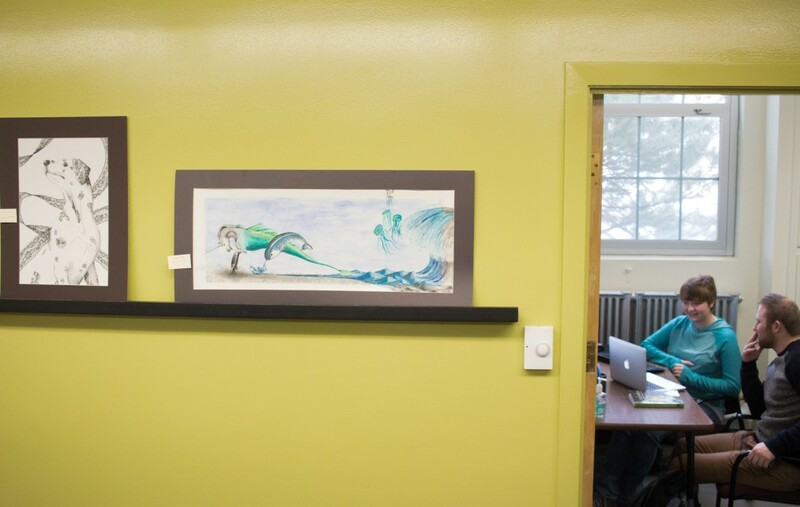 How we have managed has become a little more daunting recently, with only 3,200 undergraduates and the need to staff 50+ sections with Writing Consultants while keeping a Writing Center open. My post covers a few bedrock principles and recent challenges. The Busy Student Body Must Notice Us: It is hip to be stressed out and over-committed on this campus. Strike one for staying on student radar, as a program or potential employer. Study abroad, a wonderful opportunity that I want every student to experience, has gradually become nigh universal for our first-semester juniors. Strike Two. Then there are internships, independent study, summer research, the hum of non-academic but seemingly essential social obligations…Strike Three. For these reasons, over time, more and more students delayed taking Eng. 383 until their third or even fourth years. Having sown this wind for a few years, in May 2013 I reaped the whirlwind, finding about 20 of our trained Consultants walking across the stage in their caps and gowns. Then, this term, another 15 went abroad. Thus we are scrambling to staff 50+ sections and keep the Writing Center open with 37 Consultants. Usually, I employ 50. The Director Must Appeal to Potential Consultants Early and in the Right Way: My doubling-down on recruitment began early this semester. I notified faculty teaching first-year seminars that a crisis was at hand; I would depend upon them to bring me more first-and-second-year recruits. So far, a few are drifting in, but I will appeal as well to the students directly. Paying Consultants well helps, but students want more than a job today. Students at Richmond want a path to a post-collegiate career or graduate school. Working as a Consultant here means a better chance of landing a graduate assistantship or job with a communications focus. I count EBSCO, Penguin, and The National Archives among the employers of recently graduated Consultants. Faculty in all Fields Must Become Partners: I have never felt that putting a writing program in a “silo” works well. First of all, writing has historically been under-staffed and under-underfunded. Susan Miller’s “sad woman in the basement” was more than a brilliant metaphor in her book Textual Carnivals. It was the fact on the ground (and beneath the ground) for a long time. Now that the Humanities themselves are in national crisis, writing programs cannot necessarily count on English departments with diminishing institutional clout for support. Program directors will need to sit down with Mathematicians and Economists and Sociologists, too, to determine local needs, priorities, and resources. These faculty will also serve as recruiters for those new student employees to keep WAC efforts vital. I remain convinced, after more than two decades doing this work (with some very pleasant side trips into educational technology, the design of simulations, and more) that writing programs will thrive because our colleagues and administrators share our concern, if not necessarily our values, about writing instruction. The Director’s job, as the public face of writing on campus, is to be certain that the “center remains in the Center,” or wherever else writing instruction is housed currently. My greatest fear is that other units of a college or university, hungry for influence and budget, could gobble up WAC and Writing Centers. We should not let that happen, since with merger may come a pedagogy we have worked so hard to avoid in our teaching and tutoring. Like the WLN blog? Subscribe to our print edition for more great material. Subscribe today. Is a space for writing center people across the globe, especially for those who don’t have other writing center specialists nearby, to interact. Is moderated. Use the comment section to participate. Your posts will appear with your username, and actual names and e-mail addresses will NOT appear on the blog. CWCAB is a community blog sponsored by The Writing Lab Newsletter.